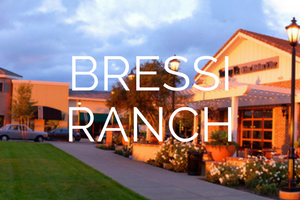 Bressi Ranch is located just four miles east of the stunning beaches of Carlsbad. Over 187 acres of dedicated natural open space winds its way throughout the eight parks and neighborhoods of this pedestrian-friendly community. Restaurants and shops are just a short walk away at Bressi Village. Bressi Village is a unique blend of shops, services, restaurants and eateries, conveniently located in Carlsbad, and anchored by two of the finest markets–Stater Bros. and Trader Joe’s. You’ll feel like you’re on a small town main street so make yourself at home with either on-street parking right in front of your favorite stores or in spaces all along the winding roadways. For more recreational pursuits, the Village Club resort-style community center makes a splash with its pools, outdoor fireplaces and convenient barbecue areas.